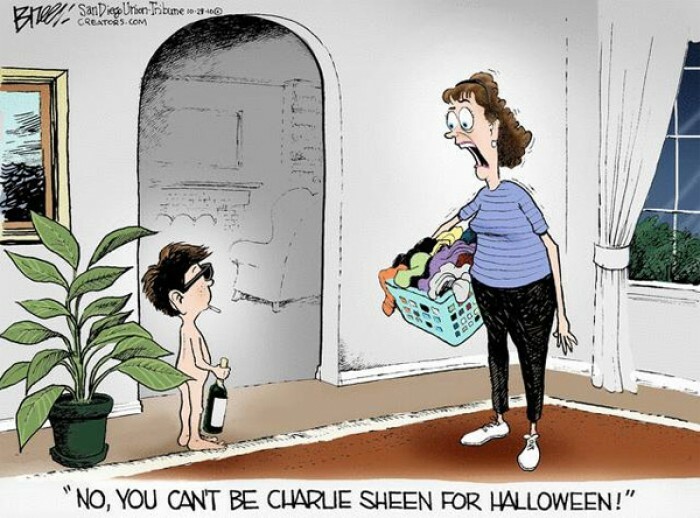 No you can’t be Charlie Sheen for Halloween! 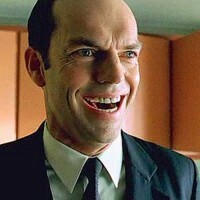 No you can’t be Charlie Sheen for Halloween! A mother tells her son who was naked, with a bottle and cigarette. :) Two and a Half Men is an American television sitcom that began broadcast on CBS on September 22, 2003. Starring Charlie Sheen, Jon Cryer, and Angus T. Jones, the show was about a hedonistic jingle writer, Charlie Harper; his uptight brother, Alan; and Alan's growing son, Jake. After Alan divorces, he moves with his son to share Charlie's beach-front Malibu house and complicate Charlie's free-wheeling life.